Mini-Lab is a robot designed by Professors for professors. 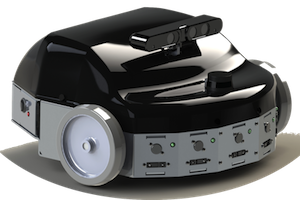 It is a medium sized robot optimized for indoor applications. It was born after an experience over a decade in teaching and research in mobile robotics field. Mini-Lab offer the best trade-off between robustness and economic competitiveness. For a comprehensive teaching experience, Mini-Lab ships with pre-made labs, and can be simulated on both Matlab and Gazebo. Its control architecture is open-source and is based on the Robot Operating System (ROS). The PearlGuard is a mobile platform for monitoring and remote alert. The robot is a 4 wheel drive mobile base powered by electric motors and batteries allowing it to patrol for up to 8 hours. To perform its functions, the robot incorporates a set of infrared cameras arranged to cover the entire surrounding of the robot, an omni-directional audio acquisition system, thermal camera and a sound and light alarm system. It is particularly able to automatically detect intrusion.The robot incorporates a GPS to locate in its environment and a laser telemetry system for detection. Imagine you are 80 and living alone. Your children are halfway across the country. You have a live-in-aide but it’s not human. Robots have the potential to support older adults as they age in place as well as if they live in skilled nursing residence. eTouch-Bot is a robots designed to assist aged person in a Nursing Home. It is the answer to a predicted shortage of caregivers to serve our rapidly aging population. 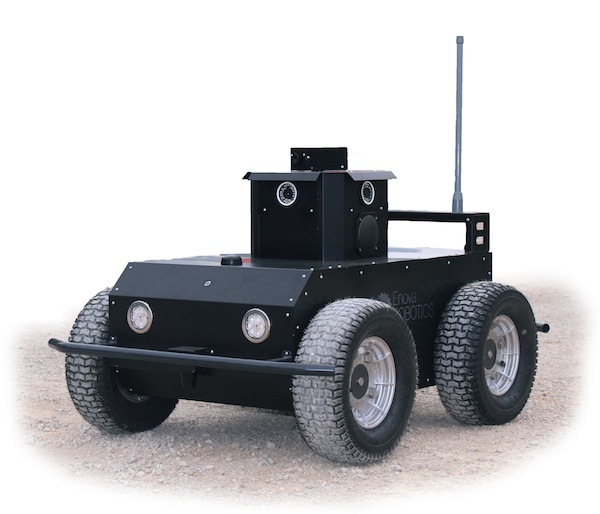 eTouch-Bot provides telepresence, continuous monitoring and tele-vigilance. Doctor could connect if necessary and make premilinary diagnostics. It makes you interacting with people in remote location and in a synchronous way. Our robots create an engaging space for attendees and deliver a captive audience for event sponsors. Event organizers can relax while HelloBot handles all the details.